Not a member? No problem! Join the Friends with a $25 membership and come on in! Be the first to see what titles are offered and enjoy some refreshments at the same time! Shop for books then enjoy a complimentary cup of coffee or tea at the library cafe. Home-baked cookies and muffins will be available too! 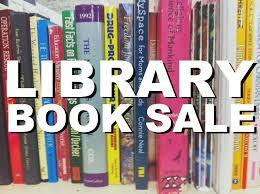 All book sale proceeds go to the Friends of the Flint to help support the Flint Public Library. There are still a lot of good bargains and undiscovered treasures!